Paper recycling has been around for a long time and is the easiest waste stream to separate and recover to improve your environmental performance. White paper includes any white office paper such as photocopy paper, computer paper, letterheads and laser prints. Mixed paper includes files, brochures, newspapers, magazines, coloured paper, envelopes, post-its. No sorting is necessary. Both wastepaper streams can be mixed and collected together which means your company can recycle all its paper and light card without any pre-sorting by the staff. We will separate out white paper, colour paper and newspaper and magazines at our facility. 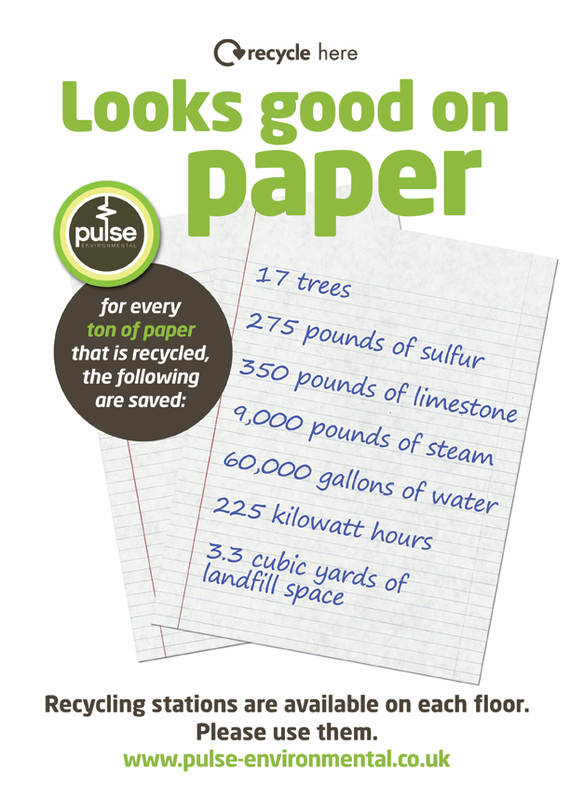 Office papers and newspapers are made from different fibres and separating them maximises their recycling benefits. Paper may be stored in A4 copier boxes or in one of our bag or wheeled bin systems and collections can be scheduled or on demand. We will be happy to come and collect from individual locations within your building or from a centralised storage area.